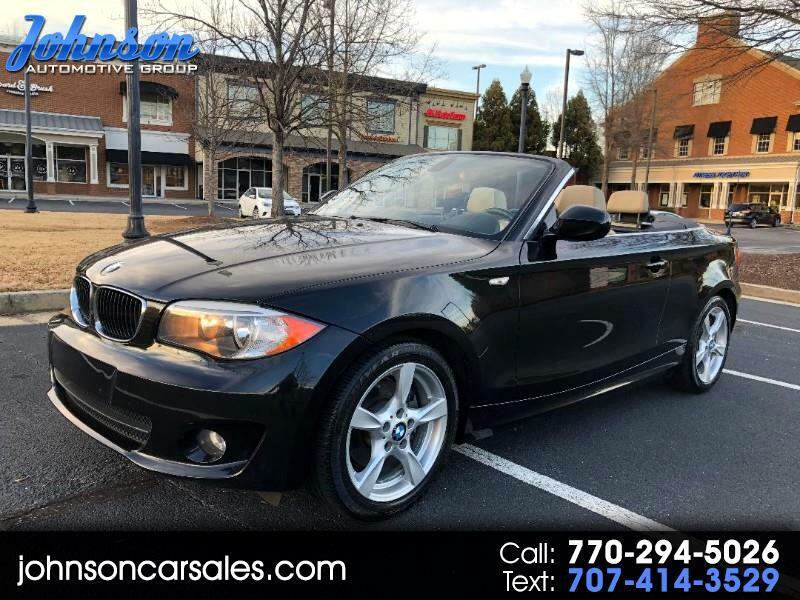 Used 2013 BMW 1-Series 128i Convertible for Sale in Duluth GA 30097 Johnson Automotive Group, Inc.
Clean Carfax 1 owner with 14 dealer maintained service records. Excellent condition inside and out. Loaded with leather interior, heated seats, navigation, hands free wireless, power seats, power convertible top, keyless entry, aux port, and much more. Excellent condition inside and out. If you have any questions please contact us at 770-294-5026 or 770-495-8400.